On 15 April 1989, 96 victims lost their lives and 766 supporters were injured, in what is commonly know as The Hillsborough disaster. A fatal crowd crush occurred during the FA Cup semi-final; Liverpool v Nottingham Forest. The match was held at Hillsborough Stadium in the city of Sheffield, England. The incident occurred in the Leppings Lane stand; confined to two standing-only central pens, allocated to Liverpool supporters. • Adam Edward Spearritt, 14 – Cause of death: compression asphyxia. Time of death: between 16:45 and 16:50. A schoolboy from Cheshire, Mr Spearritt was taken to the game by his father Edward and two friends. • Alan Johnston, 29 – Cause of death: compression asphyxia. Time of death: between 14:57 to 16:04. A trainee accountant from Liverpool. Mr Johnston had travelled to Sheffield in a hired minibus with friends and was separated from them at the Leppings Lane turnstile due to the crowd. • Alan McGlone, 28 – Cause of death: compression asphyxia. Time of death: Between 15:00 and 15:58. A factory worker from Kirkby, who shared a car to Sheffield with friends, including Joseph Clark, a fellow victim. • Andrew Mark Brookes, 26 – Cause of death: compression asphyxia Time of death: between 15:03 and 15:37. A car worker from Bromsgrove, Worcestershire. Mr Brookes drove to the game with friends and entered the stadium through the turnstiles with his friend Mark Richards, before he was separated by a crowd surge. • Anthony David Bland, 22 – Cause of death: pyelitis and bronchopneumonia due to or as a consequence of anoxic brain damage, due to or as a consequence of compression asphyxia. Time of death: 21:15 on March 3 1993. A labourer from Keighley, West Yorkshire, who was 18 when he went to the game with two friends. Mr Bland died in 1993, several years after the disaster, after receiving severe brain injuries on the day which left him in a vegetative state. A landmark legal ruling allowed his family to stop life-support treatment, making him Hillsborough’s 96th and final victim. • Anthony Peter Kelly, 29 – Cause of death: compression asphyxia. Time of death: between 14:57 to 16:01. A married soldier from Birkenhead. He travelled to Sheffield with two friends, who survived. • Arthur Horrocks, 41 – Cause of death: compression asphyxia. Time of death: between 15:03 and 15:55. A married insurance agent from the Wirral, Mr Horrocks had travelled to the game with his brother and nephews. One nephew saw him lose consciousness as crowd pressure intensified in one of the enclosures. • Barry Glover, 27 – Cause of death: compression asphyxia. Time of death: between 14:57 and 15:36. A married greengrocer from Bury, Lancashire. Mr Glover travelled to Sheffield with his father and three friends. • Barry Sidney Bennett, 26 – Cause of death: compression asphyxia. Time of death: 14:57 to 15:37. A seaman from Liverpool. Mr Bell had driven to watch the game with four friends. • Brian Christopher Matthews, 38 – Cause of death: compression asphyxia. Time of death: between 14:57 and 15:19. A married financial consultant from Merseyside. He was a season ticket holder and had travelled to the game with friends. • Carl William Rimmer, 21 – Cause of death: compression asphyxia. Time of death: between 14:57 and 15:52. 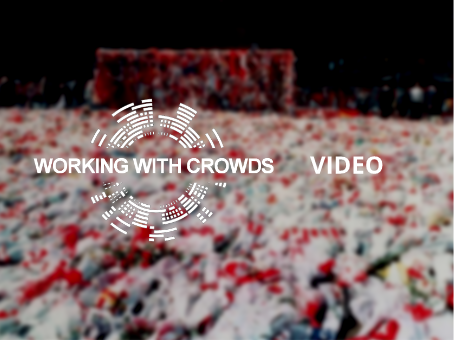 A video technician from Liverpool who went to see the match with his brother Kevin and two friends, who survived. • Carl Brown, 18 – Cause of death: compression asphyxia. Time of death: between 14:57 and 16:03. A student from Leigh, Greater Manchester. Mr Brown had travelled to the game with a group of friends by car. •Carl Darren Hewitt, 17 – Cause of death: compression asphyxia. Time of death: 15:03 and 16:05. An apprentice cabinet maker from Leicester. He had gone to the ground with his brother, Nicholas, who was also killed. The pair had travelled up to the fixture on a supporters coach. • Carl David Lewis, 18 – Cause of death: compression asphyxia. Time of death: between 14:57 and 15:57. A labourer from Kirkby who went to Hillsborough with his brothers Michael and David. He hitchhiked part of the way so he could buy a ticket outside the ground. • Christine Anne Jones, 27 – Cause of death: compression asphyxia. Time of death: between 15:00 to 16:15. A married senior radiographer from Preston. She went to the game with her husband Stephen, but was separated from him after they entered the ground. • Christopher James Traynor, 26 – Cause of death: compression asphyxia. Time of death: between 14:57 and 16:03. A married joiner from Birkenhead. He travelled with his brother Martin and friend Dave Thomas, who both also died. • Christopher Barry Devonside, 18 – Cause of death: compression asphyxia. Time of death: between 15:00 and 17:00. A college student from Liverpool, Mr Devonside had gone to the game with his father and some friends. His friends lost sight of him one minute before kick off in the swelling crowd. • Christopher Edwards, 29 – Cause of death: compression asphyxia. Time of death: between 14:57 and 15:50. A steelworker from South Wirral. He travelled down to Sheffield with two others, but left them before entering the stadium. • Colin Wafer, 19 – Cause of death: compression asphyxia. Time of death: between 14:57 and 15:40. A bank clerk from Liverpool who travelled alone to the match on a coach. • Colin Andrew Hugh William Sefton, 23 – Cause of death: compression asphyxia. Time of death: between 15:00 and 15:50. A security officer from Skelmersdale, West Lancashire, Mr Sefton drove to the match with his friends, who survived. • Colin Mark Ashcroft, 19 – Cause of death: compression asphyxia. Time of death: between 14:57 and 15:20. A gardener from Warrington. Mr Ashcroft attended the game after travelling down on a coach organised by Liverpool Supporters Travel Club. • David William Birtle, 22 – Cause of death: compression asphyxia. Time of death: between 15:07 and 16:05. An HGV driver from Stoke-on-Trent. Mr Birtle had attended the game alone. • David George Rimmer, 38 – Cause of death: compression asphyxia. Time of death: between 14:57 and 16:05. A married sales manager from Skelmersdale, West Lancashire. He travelled by car to Sheffield with a friend and was separated after entering the stadium due to a crowd surge. • David Hawley, 39 – Cause of death: compression asphyxia. Time of death: between 14:57 and 16:15. A married diesel fitter from St Helens. Mr Hawley drove to the game with family members, including his 17-year-old nephew Stephen O’Neill, who was also killed. • David John Benson, 22 – Cause of death: compression asphyxia. Time of death: between 15:02 and 16:20. A sales representative from Warrington. Mr Benson had gone to the game with his friend, but had parted ways with him at the gates as they were in different areas. • David Leonard Thomas, 23 – Cause of death: compression asphyxia. Time of death: between 14:57 and 15:33. A joiner from Birkenhead. Along with a group of friends, Mr Thomas drove to the game from Liverpool. Two of the friends he was travelling with, Christopher and Martin Traynor, also died that day. • David William Mather, 19 – Cause of death: compression asphyxia. Time of death: between 14:57 and 16:00. A post office counter clerk from Liverpool who drove his friends to the fixture. After his death, Mr Mather’s ashes were scattered at The Kop of Anfield football ground. • Derrick George Godwin, 24 – Cause of death: compression asphyxia. Time of death: between 15:02 and 16:27. An accounts clerk from Gloucestershire. He went to the match alone, having caught a train from Cheltenham. • Eric Hankin, 33 – Cause of death: compression asphyxia. Time of death: between 15:02 and 15:35. A married nurse from Liverpool. Mr Hankin lost his friends in the crowd at the turnstile due to the crowd pressure. • Eric George Hughes, 42 – Cause of death: compression asphyxia. Time of death: between 14:58 and 16:10. A married sales executive from Warrington. He attended the game with friends and was seen by one of them being passed from the terraces by two police officers. • Francis Joseph McAllister, 27 – Cause of death: compression asphyxia. Time of death: between 14:57 and 15:57. A fireman from Liverpool. Mr McAllister went to the ground with a group of friends, including Nicholas Joynes, who also died in the tragedy. • Gary Christopher Church, 19 – Cause of death: compression asphyxia. Time of death: between 15:00 and 15:29. A joiner from Liverpool. Mr Church went to the game with several friends on a minibus and met with another group which included Christopher Devonside and Simon Bell, both of whom were also killed. • Gary Collins, 22 – Cause of death: compression asphyxia. Time of death: between 15:02 and 15:23. A quality controller from Liverpool. He had driven to Sheffield with two friends, who lost him after the crushing began in the West Stand. • Gary Harrison, 27 – Cause of death: compression asphyxia. Time of death: between 14:57 and 16:00. A married driver from Liverpool who had travelled to the game with his brother Stephen, also a victim of the disaster. • Gary Philip Jones, 18 – Cause of death: compression asphyxia. Time of death: 16:20. A student from Merseyside. Mr Jones joined his cousin and several others on a minibus to the match. It was his first away game. • Gerard Bernard Patrick Baron, 67 – Cause of death: compression asphyxia. Time of death: between 14:57 and 15:35. A retired postal worker who died at the ground after driving from Preston to watch the game with his son Gerard Martin Baron Jnr. Mr Baron was the oldest person to die that day. • Gordon Rodney Horn, 20 – Cause of death: compression asphyxia. Time of death: between 14:58 and 16:02. A Liverpool fan who travelled to the ground with friends in a minibus from Bootle, Liverpool. 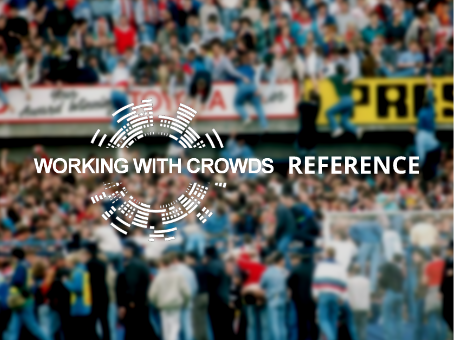 He was separated from his friend in a crowd surge shortly before kick-off. • Graham John Roberts, 24 – Cause of death: compression asphyxia. Time of death: between 15:03 and 16:25. An engineer from Merseyside. He travelled by car with two friends to Hillsborough stadium. • Graham John Wright, 17 – Cause of death: compression asphyxia. Time of death: between 14:57 and 16:10. A insurance clerk from Liverpool who went to see the match with his friend James Gary Aspinall, who also died. His brother attended the game separately from Graham and survived. • Henry Charles Rogers, 17 – Cause of death: compression asphyxia. Time of death: between 14:57 and 15:35. A student from Chester. He caught a train with his brother Adam, but once they found themselves forced through the gates by the swelling crowds, lost one another. • Henry Thomas Burke, 47 – Cause of death: compression asphyxia. Time of death: between 15:15 and 16:00. A married roofing contractor from Liverpool. Mr Burke went to Sheffield with a number of friends, but only entered the stadium with one other, James Swaine, who survived. • Ian David Whelan, 19 – Cause of death: compression asphyxia. Time of death: between 14:57 and 16:11. A junior clerk from Warrington. He travelled alone to the match on a coach from Anfield organised by the Liverpool supporters club. • Ian Thomas Glover, 20 – Cause of death: compression asphyxia. Time of death: between 15:06 and 16:35. A street paver from Liverpool, Mr Glover had gone to the game with his brother Joseph, who survived. The pair were separated in the crowd and his brother later saw him being pulled from the enclosure. • Inger Shah, 38 – Cause of death: compression asphyxia. A secretary from London. Time of death: between 15:03 and 15:55. She attended the match with her son Daniel, before which they met friends including Marian McCabe, who was also killed. • James Gary Aspinall, 18 – Cause of death: compression asphyxia. Time of death: between 14:57 and 15:54. A clerk from Liverpool. Mr Aspinall went on a coach from Liverpool to Sheffield with friend Graham Wright, who was also killed. • James Philip Delaney, 19 – Cause of death: compression asphyxia. Time of death: between 15:03 and 15:40. An assembly worker from South Wirral. Mr Delaney had arrived at the game that day with two friends, one of whom, James Hennessy, also died in the disaster. • James Robert Hennessy, 29 – Cause of death: 1a/ inhalation of stomach contents due to or as a consequence of 1b/ compression asphyxia. Time of death: between 15:15 and 16:09. A plasterer from Ellesmere Port, Cheshire. He caught a coach with two friends, including fellow victim James Delaney. • John Alfred Anderson, 62 – Cause of death: traumatic rupture of the abdominal aorta. Time of death: 15:08. A married security officer from Liverpool. Mr Anderson travelled to the game in Sheffield by car with his son Brian and two friends. • John McBrien, 18 – Cause of death: compression asphyxia. Time of death: between 15:00 and 16:35. A student from Clwyd. Mr McBrien took a supporters bus to Hillsborough and was caught up in a surge near the ground’s perimeter fence. • Jonathon Owens, 18 – Cause of death: compression asphyxia. Time of death: between 15:03 and 15:26. A clerical officer from Chester. Mr Owens travelled with two friends to the match, including fellow victim Peter Burkett. • Jon-Paul Gilhooley, 10 – Cause of death: compression asphyxia. Time of death: 15:50. The youngest victim of the Hillsborough tragedy. He had gone to the game with his two uncles, who both survived. Footballer Steven Gerrard was his younger cousin. • Joseph Clark, 29 – Cause of death: compression asphyxia. Time of death: between 15:06 and 15:55. A fork-lift driver from Liverpool. He had travelled to the game with his brother Stephen and two friends, one of whom, Alan McGlone, also died at the ground. • Joseph Daniel McCarthy, 21 – Cause of death: compression asphyxia. Time of death: between 14:57 and 15:55. A student from London. He met his friends at a pub in Sheffield, including Paul Brady, a fellow victim that day. • Keith McGrath, 17 – Cause of death: compression asphyxia. Time of death: between 14:57 and 16:06. An apprentice painter from Liverpool. Mr McGrath travelled with friends, after being given a season ticket for Liverpool on his 17th birthday. • Kester Roger Marcus Ball, 16 – Cause of death: compression asphyxia. Time of death: between 15:04 and 16:33. A student from St Albans, Hertfordshire. Mr Ball had been driven to the game by his father Roger and was joined by two other children, who survived. • Kevin Daniel Williams, 15 – Cause of death: compression asphyxia. Time of death: between 15:05 and 15:45. A schoolboy from Merseyside who travelled to the game with four friends by train, one of whom, Stuart Thompson, also died. 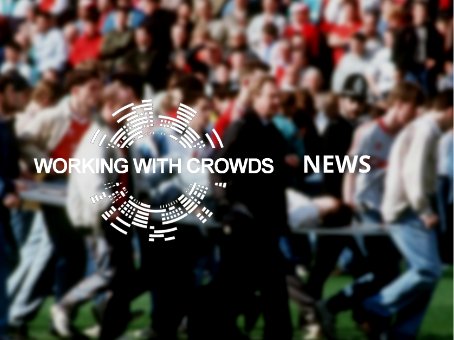 Mr Williams’ mother became a leading Hillsborough campaigner before her death in 2012. • Kevin Tyrell, 15 – Cause of death: compression asphyxia. Time of death: between 15:00 and 15:45. A schoolboy from Runcorn. He travelled to the game with four friends on a coach from Runcorn who he became separated from just before kick-off. • Lee Nicol, 14 – Cause of death: compression asphyxia. Time of death: 18:50 on April 17 1989. A schoolboy from Bootle, Liverpool. He had travelled to the match with friends. Inside the ground, one friend saw him get knocked to the floor by the force of the crowd. • Marian Hazel McCabe, 21 – Cause of death: compression asphyxia. Time of death: between 14:57 and 16:09. A factory worker from Basildon, Essex, Miss McCabe took a train from London with several friends, one of whom was Inger Shah, who also died. • Martin Kevin Traynor, 16 – Cause of death: compression asphyxia. Time of death: between 15:06 and 16:08. An apprentice joiner from Birkenhead. He travelled with his brother Christopher and friend Dave Thomas, who both also died. • Martin Kenneth Wild, 29 – Cause of death: compression asphyxia. Time of death: between 15:00 and 16:35. A printing worker from Cheshire. He had travelled to the game from Stockport with a group of friends, who all survived. He became separated from his friends during the game, who then next saw him on the floor. • Michael David Kelly, 38 – Cause of death: compression asphyxia. Time of death: between 15:06 to 15:59. A warehouseman from Liverpool. He came down to the game on a supporters’ coach and left his friends to enter the ground alone. • Nicholas Peter Joynes, 27- Nicholas Peter Joynes travelled to Hillsborough with a group of friends, including Francis McAllister, who also lost his life. A promising young footballer, Nicholas had trials at Liverpool before taking up a career as a draughtsman. • Nicholas Michael Hewitt, 16 – Cause of death: compression asphyxia. Time of death: between 14:57 and 15:31. A student from Leicester. He and his brother Carl died in the tragedy. The pair were last seen exiting a coach they caught to the ground together. • Patrick John Thompson, 35 – Cause of death: compression asphyxia. Time of death: between 14:57 and 16:00. A railway guard from Liverpool. Mr Thompson caught a train to the game with his two brothers, Kevin and Joe, with whom he entered the enclosure. • Paula Ann Smith, 26 – Cause of death: compression asphyxia. Time of death: between 15:00 and 16:25. Miss Smith, an avid Liverpool fan whose bedroom was covered in memorabilia, had travelled to the match alone after taking a coach laid on by Liverpool supporters’ club. • Paul Anthony Hewitson, 26 – Cause of death: compression asphyxia. Time of death: between 15:00 and 15:21. A self-employed builder from Liverpool. Mr Hewitson had been given a lift in his friend’s van to Hillsborough stadium. • Paul David Brady, 21 – Cause of death: compression asphyxia. Time of death: between 14:57 and 15:45. A refrigeration engineer from Liverpool. Mr Brady had gone to the game with three friends, one of whom, Joseph McCarthy, was also killed. • Paul Brian Murray, 14 – Cause of death: compression asphyxia. Time of death: between 14:57 and 16:00. A student from Stoke-on-Trent. He had been taken to the fixture by his father and the pair had been knocked over by the force of the crush, which separated them. • Paul Clark, 18 – Cause of death: compression asphyxia. Time of death: between 14:57 and 16:07. An apprentice electrician from Swanwick, Debyshire, Mr Clark went to Hillsborough with his father Kenneth and a friend. He was separated from his friend after a crowd surge pushed him towards a perimeter fence and out of sight. • Paul William Carlile, 19 – Cause of death: compression asphyxia. Time of death: between 14:57 and 15:18. A plasterer from Liverpool. Mr Carlile had travelled to Sheffield with two friends, before leaving the group to try and swap his terrace ticket for a seat ticket at a nearby pub. • Peter Andrew Harrison, 15 – Cause of death: compression asphyxia. Time of death: between 15:03 and 16:00. A schoolboy from Liverpool who went to the game with two friends. His friends had tickets for a different part of the ground and survived. • Peter Andrew Burkett, 24 – Cause of death: compression asphyxia. Time of death: between 15:04 and 16:00. A married insurance clerk from Prenton, Birkenhead. Mr Burkett travelled to Sheffield from Liverpool with friends, including Jonathon Owens, who also died. • Peter Francis Tootle, 21 – cause of death: compression asphyxia. Time of death: between 15:00 and 15:54. A labourer from Liverpool. He travelled to Hillsborough by car with his uncle Stephen and a friend, both of whom survived. • Peter McDonnell, 21 – Cause of death: compression asphyxia. Time of death: between 14:57 and 15:50. A bricklayer from Liverpool. He went to the game with a group of friends, all of whom survived. • Peter Reuben Thompson, 30 – Cause of death: compression asphyxia. Time of death: between 14:57 and 15:29. An engineer from Wigan. Mr Thompson travelled alone to the game in his company car. • Philip Hammond, 14 – Cause of death: compression asphyxia. Time of death: between 15:02 and 16:15. A student from Liverpool. He got to the stadium by coach and entered the stadium with friends. He was swept out of sight by the crowd and they did not see him again. • Philip John Steele, 15 – Cause of death: compression asphyxia. Time of death: between 14:57 and 16:15. A student from Merseyside. Mr Steele travelled with his parents and brother Brian, with whom he entered the stadium. • Raymond Thomas Chapman, 50 – Cause of death: compression asphyxia. Time of death: between 14:57 and 16:07. A married fitter from Birkenhead who drove to the ground with two friends, one of whom, Thomas Fox, was also killed that day. • Richard Jones, 25 – Cause of death: compression asphyxia. Time of death: between 14:57 to 16:00. An office worker from Allerton, Liverpool, who had gone to the game with his sister and his girlfriend Tracey, who also died. • Roy Harry Hamilton, 34 – Cause of death: compression asphyxia. Time of death: between 14:47 and 16:08. A married railway technician from Liverpool. Mr Hamilton had driven to Sheffield with his stepson and brother-in-law, who survived the ordeal. • Sarah Louise Hicks, 19 – Cause of death: compression asphyxia. Time of death: between 15:06 and 15:39. A student from Pinner, Middlesex. She had gone to the game with her parents and her sister Victoria, who was also killed. • Simon Bell, 17 – Cause of death: compression asphyxia. Time of death: between 14:57 and 16:15. A YTS trainee from Liverpool. Mr Bell was killed at the stadium after travelling by car with his friend and his friend’s father. Upon arriving at Hillsborough, he had entered the stands with some friends, several of whom also died, before being swept away in the crush. • Stephen Paul Copoc, 20 – Cause of death: compression asphyxia. Time of death: between 15:03 and 16:05. A landscape gardener from Liverpool. Mr Copoc travelled to the game by coach with two friends, both of whom survived. • Stephen Francis Harrison, 31 – Cause of death: compression asphyxia. Time of death: between 14:57 and 15:51. A driver from Liverpool. Mr Harrison had gone to the game with his brother Gary, who also died. • Stephen Francis O’Neill, 17 – Cause of death: compression asphyxia. Time of death: between 14:57 and 15:39. A student and cable jointer’s mate from Merseyside. Mr O’Neill was taken to the game by his father and shared a car with his uncle David Hawley, who also died. • Steven Joseph Robinson, 17 – Cause of death: compression asphyxia. Time of death: between 14:57 and 16:02. An apprentice auto-electrician from Bootle, Liverpool. He travelled to the game with friends and had aspirations of joining Merseyside Police at the time of his death. • David Steven Brown, 25 – Cause of death: compression asphyxia. Time of death: between 15:00 and 15:58. A machine operator from Wrexham. Mr Brown attended the semi-final fixture with his brother Andrew, who survived. He left behind his wife Sarah, who was six months pregnant with his daughter at the time. • Stuart Paul William Thompson, 17 – Cause of death: compression asphyxia. Time of death: between 15:00 and 16:04. An apprentice joiner from Liverpool. He travelled to the game with his brother and some friends by car. • Thomas Anthony Howard, 14 – Cause of death: compression asphyxia. Time of death: between 14:57 and 15:55. A schoolboy from Runcorn, Cheshire. Known as Tommy, he travelled to the ground with his father Thomas, who also died. • Thomas Howard, 39 – Cause of death: compression asphyxia. Time of death: between 15:03 and 16:10. A chemical process worker from Runcorn, Cheshire who had taken his son to the game, along with a party of friends. His son, also Thomas, was another victim of the tragedy. Mr Howard was last seen saying something about his son repeatedly during the crush, before losing consciousness. • Thomas Steven Fox, 21 – Cause of death: compression asphyxia. Time of death: between 14:57 and 16:27. A production worker from Birkenhead. He had come to the game with two friends, including fellow victim Raymond Chapman. • Tracey Elizabeth Cox, 23 -Cause of death: compression asphyxia. Time of death: between 14:57 and 15:54. A student from Wiltshire who had gone to the stadium with her boyfriend Richard Jones, who also died, and his sister Stephanie Jones, who survived. • Victoria Jane Hicks, 15 – Cause of death: compression asphyxia. Time of death: between 15:01 and 15:45. A student from Pinner, Middlesex and the youngest female victim of the Hillsborough disaster. She died standing alongside her sister Sarah, after both were taken to the game by their parents, who survived. • Vincent Michael Fitzsimmons, 34 – Cause of death: compression asphyxia. Time of death: between 14:57 and 16:03. A moulding technician from Wigan. Mr Fitzsimmons had got a coach to the game with three friends, who survived the disaster. • William Roy Pemberton, 23 – Cause of death: compression asphyxia. Time of death: between 14:57 and 16:00. A student from Liverpool. He was accompanied by his father, also William, to Sheffield by coach. His father travelled with him to keep him company, but did not attend the game. Home Secretary Theresa May gives a statement on the findings of the Hillsborough inquests. With permission, Mr Speaker, I would like to make a statement on the Hillsborough stadium disaster, the determinations and findings of the fresh inquests presided over by Sir John Goldring, and the steps that will now take place. Mr Speaker, 27 years ago the terrible events of Saturday 15 April 1989 shocked this country and devastated a community. That afternoon as thousands of fans were preparing to watch the FA Cup semi-final between Liverpool and Nottingham Forest, a crush developed in the central pens of the Leppings Lane terrace. 96 men, women and children lost their lives as a result. Hundreds more were injured, and many were left traumatised. It was this country’s worst disaster at a sporting event. For the families and survivors, the search to get to the truth of what happened on that day has been long and arduous. They observed the judicial inquiry led by Lord Justice Taylor. They gave evidence to the original inquests which recorded a verdict of accidental death. They have seen further scrutiny, reviews and a private prosecution. They suffered the injustice of hearing the victims – their loved ones and fellow supporters – being blamed. They have heard the shocking conclusions of the Hillsborough Independent Panel. And they have now – once again – given evidence to the fresh inquests presided over by Sir John Goldring. I have met members of the Hillsborough families on a number of occasions and – in their search for truth and justice – I have never failed to be struck by their extraordinary dignity and determination. I do not think it is possible for any of us to truly understand what they have been through. Not only in losing their loved ones in such horrific circumstances that day, but to hear finding after finding over 27 years telling them something that they believed to be fundamentally untrue. They have quite simply never given up. I would also like to take this opportunity to pay tribute to the Right Honourable Member for Leigh, who has campaigned so tirelessly over the years on their behalf, and also the honourable members for Liverpool Walton, for Garston and Halewood, for Halton, for Liverpool Riverside and for Wirral South. Yesterday the fresh inquests into the deaths at Hillsborough gave its determinations and findings. Its establishment followed the report of the Hillsborough Independent Panel, chaired by Bishop James Jones. The contents of that report were so significant that it led to the new inquests and 2 major new criminal investigations: one by the Independent Police Complaints Commission examining the actions of the police in the aftermath of Hillsborough, and a second criminal investigation – Operation Resolve – led by Jon Stoddart, the former chief constable of Durham. Since the fresh inquests opened in Warrington on 31 March 2014, the jury has heard 296 days of evidence. It ran for more than 2 years and was the longest running inquest in British legal history. I am sure the whole house will want to join me in thanking the jury for the important task it has undertaken and the significant civic duty the jurors have performed. Mr Speaker, I will turn now to the jury’s determinations and findings. In its deliberations, the jury was asked to answer 14 general questions covering the role of South Yorkshire Police, the South Yorkshire Metropolitan Ambulance Service, Sheffield Wednesday Football Club and Hillsborough stadium’s engineers, Eastwood and Partners. In addition, the jury was also required to answer 2 questions specific to each of the individual deceased relating to the time and medical cause of their death. Question 1: Do you agree with the following statement which is intended to summarise the basic facts of the disaster? 96 people died as a result of the disaster at Hillsborough stadium on 15 April 1989 due to crushing in the central pens of the Leppings Lane Terrace, following the admission of a large number of supporters to the stadium through exit gates. Question 10: Was there any error or omission by Sheffield Wednesday Football Club (and its staff) in the management of the stadium and/or preparation for the semi-final match on 15 April 1989 which caused or contributed to the dangerous situation that developed on the day of the match? Question 11: Was there any error or omission by Sheffield Wednesday FC (and its staff) on 15 April 1989 which caused or contributed to the dangerous situation that developed at the Leppings Lane turnstiles and in the west terrace? Further to that question: Was there any error or omission by Sheffield Wednesday FC (and its staff) on 15 April 1989 which may have caused or contributed to the dangerous situation that developed at the Leppings Lane turnstiles and in the west terrace? Question 12: Should Eastwood & Partners have done more to detect and advise on any unsafe or unsatisfactory features of Hillsborough stadium which caused or contributed to the disaster? Question 14: After the crush in the west terrace had begun to develop, was there any error or omission by the ambulance service (SYMAS) which caused or contributed to the loss of lives in the disaster? Finally, the jury also recorded the cause and time of death for each of the 96 men, women and children who died at Hillsborough. In all but one case the jury have recorded a time bracket running beyond the 3:15 pm cut off point adopted by the coroner at the original inquests. These determinations were published yesterday by the coroner, and I would urge the reading of each and every part in order to fully understand the outcome of the inquests. The jury also heard evidence about the valiant efforts made by many of the fans to rescue those caught up in the crush. Their public spiritedness is to be commended and I am sure that the House will want to take this opportunity to recognise what they did in those terrible circumstances. Elsewhere the jury noted that commanding officers should have ordered the closure of the central tunnel before the opening of gate C was requested as pens 3 and 4 were full. They should have established the number of fans still to enter the stadium after 2:30 pm. And they failed to recognise that pens 3 and 4 were at capacity before gate C was opened. Mr Speaker, while the inquests have concluded, this is not the end of the process. The decision about whether any criminal prosecution or prosecutions can be brought forward will be made by the Crown Prosecution Service (CPS) on the basis of evidence gathered as part of the 2 ongoing investigations. That decision is not constrained in any way by the jury’s conclusions. The house will understand that I cannot comment in detail on matters that may lead to a criminal investigation. I can however say that the offences under investigation include gross negligence manslaughter, misconduct in public office, perverting the course of justice and perjury, as well as offences under the Safety of Sports Grounds Act 1975 and the Health and Safety at Work Act 1974. I know that those responsible for the police and Independent Police Complaints Commission (IPCC) investigations anticipate that they will conclude the criminal investigations by the turn of the year. We must allow them to complete their work in a timely and thorough manner, and we must be mindful not to prejudice their outcome in any way. I have always been clear that the government will support the families in their quest for justice. So throughout the ongoing investigations we will ensure that support remains in place in 3 ways. Firstly, the ‘family forums’ which have provided the families with a regular and structured means of engaging with the investigative teams and the CPS, will continue. They will remain under Bishop James Jones’ chairmanship, in a similar format, but will reflect the fact that they will be operating after the inquests. The CPS, the IPCC and Operation Resolve will remain part of the forums. Secondly, now that the inquests have concluded it is the intention to re-constitute the Hillsborough Article 2 Reference Group, whose work has been in abeyance during the course of the inquests, under revised terms of reference. The group has 2 members: Sir Stephen Sedley, a retired Lord Justice of Appeal, and Dr Silvia Casale, an independent criminologist. Thirdly, we want to ensure that the legal representation scheme for the bereaved families continues. This was put in place, with funding from the government, following the original inquests verdicts being quashed. Discussions are currently taking place with the families’ legal representatives to see how best the scheme can be continued. In addition, I am keen that we understand and learn from the families’ experiences. I have therefore asked Bishop James – who is my adviser on Hillsborough – to write a report which draws on these experiences. This report will be published in due course, to ensure that the full perspective of those most affected by the Hillsborough disaster is not lost. I would also like to express my thanks to Bishop James again for his invaluable advice over the years. There is further work to be done so I have asked Bishop James to remain as my adviser and I am pleased to say he has agreed to do so. Mr Speaker, the conclusion of the inquests brings to an end an important step since the publication of the Hillsborough Independent Panel’s report. Thanks to that report and now the determinations of the inquests, we know the truth of what happened on that day at Hillsborough. Naturally, the families will want to reflect on yesterday’s historic outcome which is of national significance. I am also clear that this raises significant issues for the way that the state and its agencies deal with disasters. Once the formal investigations are concluded, we should step back, reflect and act if necessary so that we can better respond to disasters and ensure that the suffering of families is taken into account. 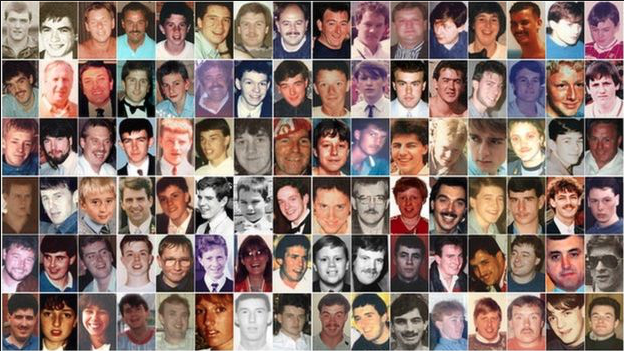 For 27 years the families and survivors of Hillsborough have fought for justice. They have faced hostility, opposition and obfuscation, and the authorities that should have been trusted, have laid blame and tried to protect themselves instead of acting in the public interest. But the families have never faltered in their pursuit of the truth. Thanks to their actions, they have brought about a proper reinvestigation, and a thorough re-evaluation of what happened at Hillsborough. That they have done so is extraordinary. I am sure the whole house will want to join me in paying tribute to their courage, determination and resolve. And we should also remember those who have sadly passed away while still waiting for justice. No one should have to endure what the families and survivors have been through. No one should have to suffer the loss of their loved ones through such appalling circumstances, and no one should have to fight year after year, decade after decade, in the search of the truth. I hope that for the families and survivors who have been through such difficult times, yesterday’s determinations will bring them closer towards the peace they have been so long denied.